Looking for some place you can find great food, ambiance and also price? Here we come, Locanda Food Voyager. 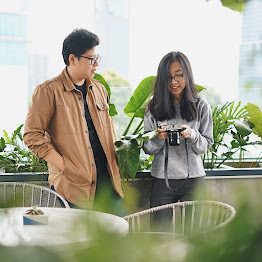 Located in heart of Jakarta (Central Jakarta) made this restaurant a great meeting point for everyone and I believe they will a be hot-spot in Jakarta. Yes I had a really wonderful lunch with my fellow foodies here, so this is Locanda Food Voyager. They are located in Panin Bank Building as replacement of Tony Roma's , yes now you won't find this well-known restaurant, but you'll see a bistro with amazing concept, I love this place, they're surrounding by mirror and this place will be so amazing at night and day ;) they also come with green concept where you can find some plants in the dining area. They have a big capacity and can be used as gathering event, maybe can hold up too 100 peoples with VIP Room too (yes I've been there for some event) beside that the interior was so lovely, I find myself enjoying this place much, the service was quite good too, the waiter really know what they sell, so they can explain us and give us the recommendation. Combination fresh orange juice, mango juice, almond, and grenadine will be your day booster ! I'm a big fan of grenadine and this was really great, so fresh. They had a great balance of sweet and sour, love every sip of this punch ! Anyway this is their signature punch :) Recommended ! This is kinda unique drink from Locanda, contains of fresh of mint leaves, lime, brown sugar, ginger, and ginger ale, they used ginger as the main ingredient, so it will be "spicy" but still fresh because of the lime, beside make you fresh, this beverage will warm your body. Another lovely appetizer, this is Cigar Prawn, yes it's wonton actually, but serve in different way, the mixture of prawn was covered by wonton skin ! So crispy and simply dip this cigar prawn into chili sauce and will be more delicious :9 I just can't stop eating this. Tom Yum Kung or Tom Yum Gong is one of the most delicious food in the world, but in Indonesia especially Jakarta I find there're a lot version of Tom Yum Gong and some of them were not good, but I must say that Locanda had one of the best Tom Yum Gong in Jakarta, the soup was super delicious, hot and sour. That sourness was really good. Beside the soup, big prawn and another seafood also mushroom made this Tom Yam Gong was on their top performance, Love it ! Pizza for sharing ! Yes thin crust pizza with truffle and cheese, taste so good but nothing special about it because combination between thin pizza and cheese is never fail ! Delicious grill chicken ! This chicken was marinated and grilled well, that's why the taste was excellent, the chicken was so tender and the spice absorbed, you don't need any extra sauce to make it delicious, served with mashed potato and also fresh vegetables with lemon dressing. My favorite dish here !! Maybe of the best chicken dish I've ever eaten ! deep-fried chicken served with amazing black pepper based sauce. It's perfect, the chicken was crispy outside so tender inside, it also marinated well and then the sauce made this chicken was outstanding !! Nothing I can say beside I really fall in love with Locanda's Kai Pad Prik Klea !! I'll come to Locanda just for ordering this seriously, two thumbs up ! Another fusion dish from Locanda, after Sichos now they had "Udon Goreng Jawa", this Japanese noodles was cooked in Javanese Style, using soy sauce, just like Tek-Tek Fried Noodle served with prawn crackers, for me it's really good but this was a forgettable dish, nothing special beside the replacement of udon for noodles. Melted Choco Cake, it's like an usual cake in every restaurant or cafe, yes you can find it easily but not all of them were good, and Locanda executed it well, it's melted of course and this cake was warm yet soft and soggy and then served with amazing rum raisin ice cream, and also served beautifully on the plate, love it ! It's a cheesecake from Locanda, yes I can feel the cheese much and combined with crumbs, taste really good and served with strawberry sauce also fresh strawberry, they have a really great dessert ! Another authentic dessert from Thai, sweeten cassava served with coconut milk, yes the cassava was so sweet but combined with saltiness from coconut milk, they became one of recommended dessert here for me, delicious. Special Thai sweet treat, people usually buy this when in Thai and Locanda also serves this, mung bean covered with jelly and shaped like fruits, so colorful and can be a great sweet escape :9 good looking and good taste of course. Well, that's some of the menu that I tried that day, for me Locanda Food Voyager is fully recommended, they have a wide variety of menu with great taste and the price is still affordable I think, beside that the dining area was so beautiful and the location also good, in the center of Jakarta, then what are you waiting for? Really nice sharing I am impressed! Your shared information is very beneficial for all readers. I also visited this region few months ago after my Boston to NY bus with my friends. This is a nice place for food lovers. I am also a food lover and like to visit such kinds of places around the world. This restaurant is located on Ground Level of Panin Center Building, Senayan. Nice sharing! I like your blog. Its information is helpful for all visitors. I have been visited Jakarta before my New York Vacation with my wife and a lovely son. It is a really nice city. I am a food lover and like to dinning delicious food all over the world. Oreo Vanilla Milkshake, Kai Pad Prik Klea and White Truffle Pizza are my most favorite dishes. This restaurant is best for tasting yummy foods. 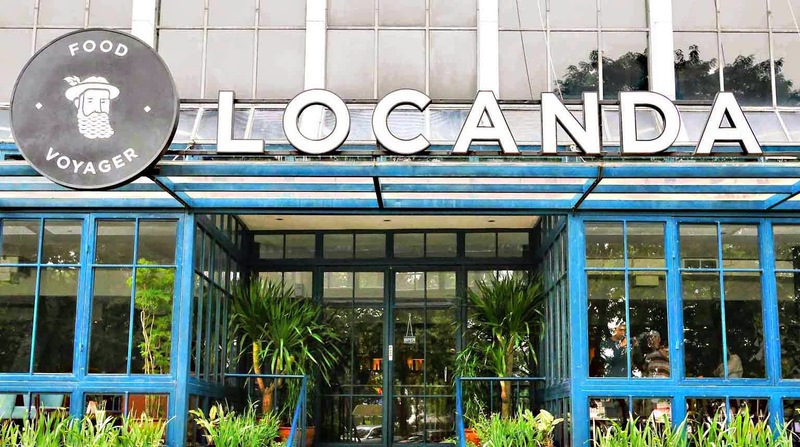 When you are traveling to Jakarta, so how can you forget to visit Locanda Food Voyager? It is a perfect place for dinning. I visited it last year with my friends. I found it very comfortable and ideal place. Its staff was very cooperative and helpful. Oreo presentation is really very lovely. I was very glad to see it. White Truffle Pizza and Garlic Spring Chicken were so delicious I still cannot forget their taste. Unlike many other venues I researched, these guys were willing to be flexible in order to make our dream events NYC a reality. If you come on a weekend night, be prepared to wait, as this place will be crowded. I had mcdonalds menu here – which was quite fantastic. Seriously - if you haven't been here, you need to go right now.